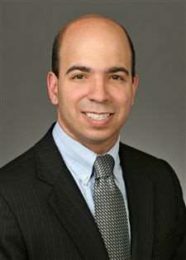 Roger Martella is General Counsel for General Electric’s Environment, Health and Safety operations worldwide. In that role, Roger supervises a team of approximately 50 lawyers and professionals in protecting GE’s 300,000 employees their neighbors around the world and promoting compliance with domestic and international environmental, safety, sustainability and climate change requirements. Prior to GE, Martella was an international environmental attorney with Sidley Austin LLP in Washington, D.C., focusing on assisting multinational corporations with environmental compliance, sustainable development, and litigation across the globe. Prior to joining Sidley Austin, Martella was the General Counsel of the U.S. Environmental Protection Agency and the Principal Counsel for Complex Litigation for the Justice Department’s Natural Resources Section. Martella is the co-editor of International Environmental Law: The Practitioner’s Guide to the Laws of the Planet (ABA 2015), vice chair of the International Bar Association’s Climate Change Justice and Human Rights Task Force, vice chair of the American Bar Association’s Sustainable Development Task Force, and vice chair of the ABA’s World Justice Forum committee. Martella also is the founder of the U.S. EPA’s China Environmental Law Initiative. In 2015, Who’s Who Legal listed Martella as the top environmental lawyer globally. Martella holds a J.D. from Vanderbilt Law School, where he was editor in chief of the Vanderbilt Law Review, and a B.S. in Environmental Science from Cornell University.